Assessment is a key part, but it is done as one of the last activities. First, what is your objective as a test coach? 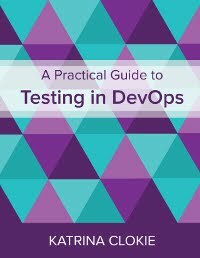 It should be to work with testers (Developers, QC, Users) to perform better testing. Better testing means finding more defects as early as possible. Management believes a test coach is needed, most likely because to many defects are showing up later than they should in the testing cycles, or they do not know how the testing effort and effectiveness is being measured. Interviews are great. They give everyone a chance to present their challenges with testing. Pattern emerge when enough people are interviewed. Interviews also offer an opportunity to explain why testing is important, and how management views the value of testing. If you are testing, find defects is good. Later on, you can assess the current behavior which is leading to the need for improved testing (personnel, process, etc.). Improving the testing processes will help find defects, which will lead to improvements in Development, Design, and ultimately better Business/Functional Analysis (Requirements). thank you for sharing your experience and ideas about how to start as a Test Coach Role. Great Blog! In a few weeks I will start a new job as a Test Manager. While I prepare for this position, I think and read how to start it - so your blog came just at the right time. I like the idea to understand myself as a Test Coach, because my colleagues will be well-educated and experienced ones - they don't need a person to tell them _what_ to improve, they know. In my opinion a Test Coach Role may act like a lawer for the Test and a mediator between Management and Testers.